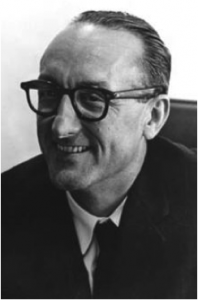 Dr. George Mueller, who led the Apollo Program, which landed humans on the Moon, passed away on 12 October, aged 97. Mueller was the longest serving member of the World Space Week Association Board of Directors. Mueller, born in 1918, became NASA’s Associate Administrator of Manned Space Flight in September 1963 and continued in the post until December 1969. Hailed as one of NASA’s “most brilliant and fearless managers,” he was instrumental in implementing the all-up testing philosophy for the Saturn V launch vehicle, which contributed to the success of the Apollo program. “I am deeply saddened by the loss of my old friend George Mueller,” said Buzz Aldrin, a fellow member of the WSW Association Board and Chancellor of International Space University. “The world will forever be in debt to George for the pivotal role he played in getting America to the Moon and pioneering the entrepreneurial revolution in space,” Aldrin said. “Dr. Mueller was a true hero of space exploration,” said Dennis Stone, President of World Space Week Association. “His support for World Space Week was an inspiration for us all. He will be deeply missed,” Stone said. Elected to the Board in 1992, Mueller served for over 22 years, making him the longest-serving Director in the Association’s history.